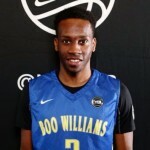 Following the addition of Oak Hill (VA) point guard Matt Coleman, who officially signed with Texas this past Wednesday, head coach Shaka Smart called Coleman’s addition part of “an important stretch of days for us.” Coleman joins the 2017 class, but Smart is not through recruiting this spring as the Longhorns are in the mix for elite recruit Mohamed Bamba. 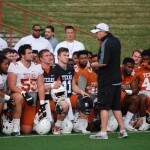 Sights and sounds from this weekend’s scrimmage, depth chart movement as Spring winds down, UT’s Big Board – Offense – for the 2018 Class, and notes from weekend visitors. Plus, some hoops recruiting nuggets from the hardwood. As usual, the Scoop delivers on a Monday. 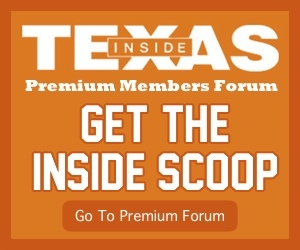 This week’s Scoop dives into Saturday scrimmage and recruiting info, plus notable notes from the Under Armour camp in Cedar Hill on Sunday. 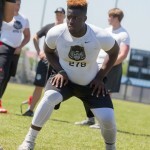 We talk to recruits after the Round Up weekend, and potential shooting guard prospect visits Shaka and the Drum. 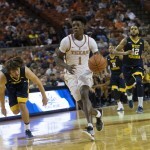 You don’t go through a 10-18 season like the Longhorns Basketball program is currently mired in without showing some bruises along the way. 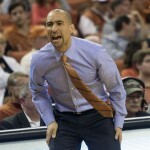 Shaka Smart, brought to Texas because of his ability to relate to the young men under his tutelage, was considered a slam dunk hire when he came to Austin. And a slam dunk hire he still may be. We’re less than two days from National Signing Day 2017. And like most, we’re ready to wrap this class up and move on to 2018. So what’s left in a class currently holding steady at 15 members? Four, by our calculations. 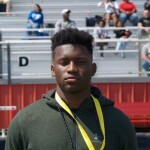 We talk predictions for the C/O 2017, 1-on-1 with 5-star BJ Foster, breaking down 2018 in-state DBs, and finish with your basketball fix. It’s the Inside Scoop, of course. 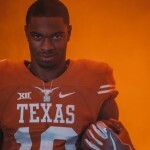 Another weekend, another opportunity for Texas and its coaching staff to solidify the current commits and try to snag a few more. Here’s the notes and quotes from all the attendees, plus news on midweek visitors and latest on Tevin Mack’s status on the 40 Acres. It’s Monday, Scoop Day. AUSTIN — Shaka Smart’s four-year-long recruitment of blue chip point guard Matt Coleman (Oak Hill Academy) has finally paid off as Coleman committed to the Longhorns on Monday night during the ESPN telecast of Oak Hill’s game against Nathan Hale. 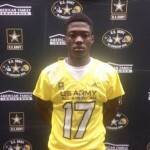 We open the new year with coverage of the Army All-American Bowl from San Antonio. 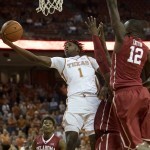 We add quotes from an interesting out-of-state prospect, and finish with the good and bad of Texas Basketball. It’s the first Scoop of 2017.